Kevin Sweeney is a former federal tax prosecutor who specializes in civil and criminal tax controversy and litigation matters. He focuses on high-stakes IRS audits, civil tax litigation, white-collar criminal defense matters, and corporate investigations for high and ultra-high net worth individuals, business owners, and public and private companies worldwide. Kevin’s experience and longstanding connections enable him to anticipate government action, expertly navigate clients through difficult situations, and deliver arguments that resonate with judges, juries, prosecutors, and federal and state tax authorities. Prior to joining the Firm’s Philadelphia Office as a tax attorney, Kevin was a trial attorney for the U.S. Department of Justice’s Tax Division (DOJ Tax) in Washington, DC. At DOJ Tax, he led many of its most successful tax enforcement cases including international tax matters against Swiss banks BSI SA, Union Bancaire Privée (UBP) SA, and Edmond de Rothschild SA. Kevin was one of a select team of attorneys assigned to DOJ’s Swiss Bank Program (SBP). As one of only a few former SBP attorneys in private practice, he is uniquely positioned to counsel financial institutions, asset managers, professional services firms, and executives on U.S. regulatory and enforcement issues including FATCA and to represent U.S. citizens and residents with foreign bank accounts and virtual currency wallets in criminal investigations, civil tax audits, voluntary disclosures, streamline filings, and other IRS tax compliance matters. As a tax controversy attorney, Kevin counsels individuals and corporations on tax compliance matters and defends them in IRS audits and civil tax litigation before the United States Tax Court, District Courts, Circuit Courts, and Court of Federal Claims. 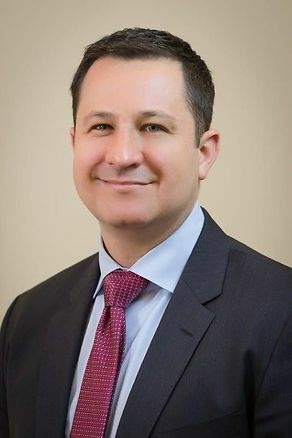 His skills and experience are particularly suited for sensitive audits, promoter audits, trust fund recovery cases, preparer matters, and tax litigation where penalty, fraud, or criminal issues could arise. Kevin has successfully assisted clients in tax compliance and controversy matters involving offshore and foreign tax information reporting, reports of foreign bank and financial accounts (FBARs), cryptocurrency, tax shelters, captive insurance, reportable transaction and material adviser disclosure statements, employment taxes, passive activity loss rules, hobby loss rules, mark-to-market elections, like-kind exchanges, and business tax credits. Kevin is a seasoned white-collar criminal defense attorney with particular expertise in tax matters. He has investigated and litigated dozens of federal white-collar criminal cases throughout the country including tax evasion, tax preparer, employment tax, FBAR, money laundering, currency structuring, Foreign Corrupt Practices Act (FCPA), and other financial fraud matters. Cases Kevin has litigated have been covered by Fortune, Bloomberg, and The Financial Times. Kevin served on active duty as a judge advocate (JAG) in the United States Army from 2006-2010 and the Army Reserve from 2010-2016. After graduating from Airborne School in 2006, Kevin deployed to Iraq with the 4th Infantry Division where he advised commanders on criminal law issues and internal investigations into serious combat-related incidents. Upon returning from Iraq, he served first as a prosecutor at Fort Hood and then as an appellate attorney in Washington, DC. As a JAG, Kevin litigated dozens of criminal cases and appeals.